Pack 862 was founded in 1975 (per a t-shirt in our shed) or the mid-1980s (1986?) (per someone’s recollection). It might have been named 862 to complement Troop 861 at Central Lutheran Church. Preceding Pack 862 was Pack 568. 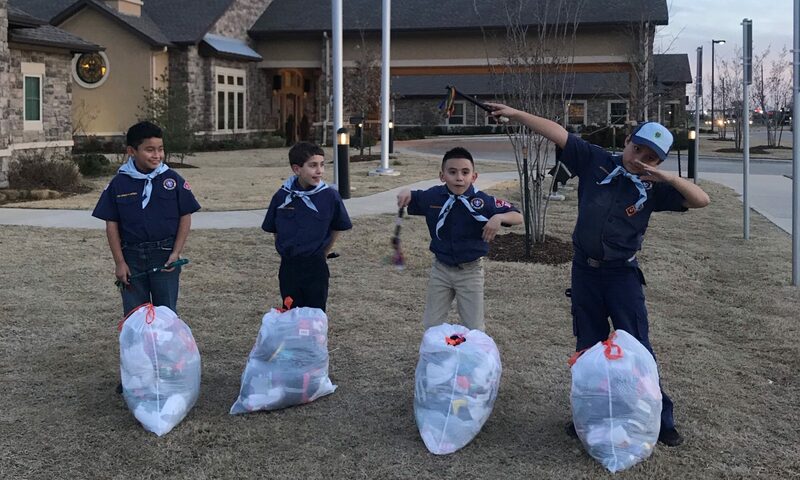 The boys from Pack 568 generally went to Troop 568 or Troop 861. Around 1960 or shortly afterwards, Troop 568 members desired to move their charter to St. John’s Episcopal School. A few recall the Hexter Elementary school facility being insufficient for the troop. Because St. John’s already had a charter for Pack 55, and possibly a defunct Troop 55, the council apparently had them drop the 568 number and go with 55. For a time, Hexter also had a Pack 566 with a Mr. Goss as the Cubmaster. Someone recalls joining it as a third grader in 1960. This pack folded before the decade was up, and it never had many members. In 1992, Pack 862 had one den. By 1997, it had around 60 Cub Scouts. As of 2017, Pack 862 entered the fall with 166 Cub Scouts. In 2014, Pack 862 absorbed Pack 46 from Lakehill Preparatory School. As of 2017, Lakehill’s participation in Cub Scouts has tripled. In 2017, Pack 862 restarted Scouting traditions at Reilly and Reinhardt Elementary Schools. Pack 707 is a young pack that served Reilly but folded; it was chartered at the nearby Elks Lodge #71. Reinhardt had no pack. At one time, there was a Troop 53 at Hexter Elementary. It was founded to be a “rough and ready” alternative to area troops, which were more into car camping. As it was chartered by Hexter Elementary School, Circle Ten Council wanted it to be Troop 862. The founders wanted a different number so that it would not be perceived as simply a place for Pack 862 boys, and they asked for a low, two-digit number. It never had many members, and it folded around 1998 due to lack of interest.